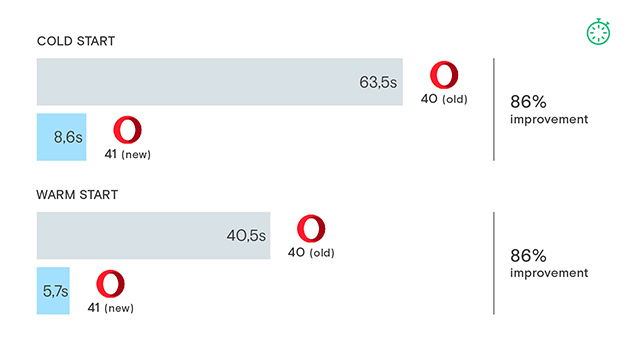 Opera 47 enters into the stable build today after undergoing a short development cycle (shorter than our usual 6-week period). 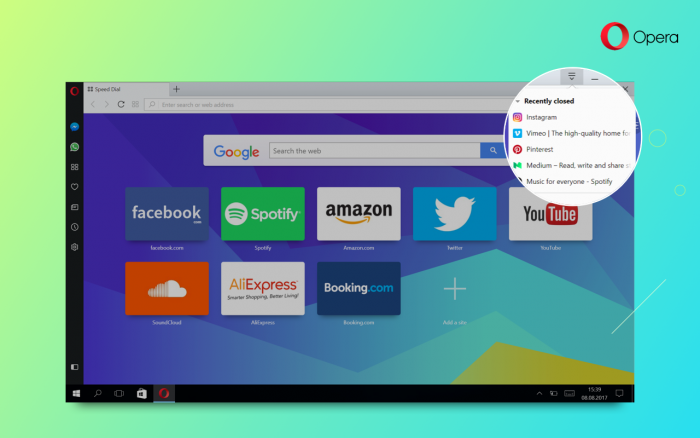 Albeit light on major features, this version of Opera comes with a handful of useful improvements. Two of these improvements help assist in convenience: the ability to export all bookmarks and increased capacity for the recently closed tab. Your personal newsfeed received two additional refresh intervals and the user interface gained refined visuals for better readability. This stable build provides a choice of exporting all of your bookmarks. Everything from your Speed Dial, bookmarks bar and other folders are neatly listed in a single HTML file. Additionally, the bookmarks pop up – seen when adding a new bookmark or Speed Dial entry – received some fixes to bugs experienced earlier. Today’s news cycle comes fast and frequent, and the bombardment of information can be overwhelming not only for yourself but also your browser. To reduce interruptions and save some data usage from the browser, your personal news can now be refreshed at two new intervals of three or six hours. 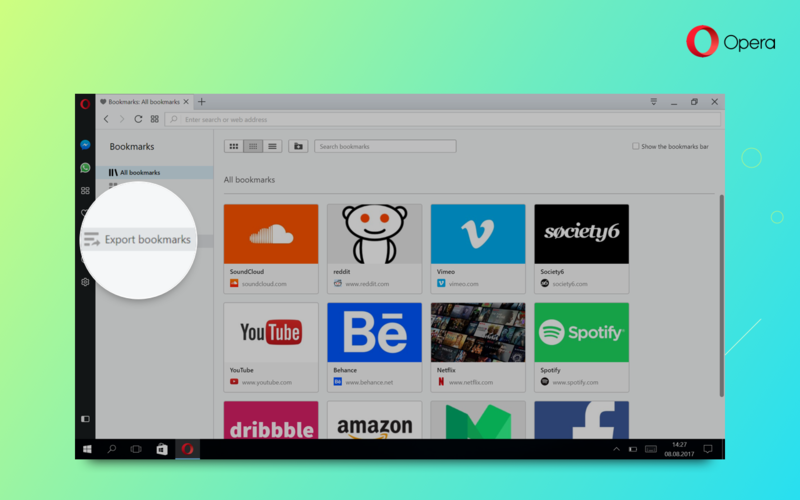 Many of our users had requested an expansion of the capacity for the recently closed tab in the tabs bar. 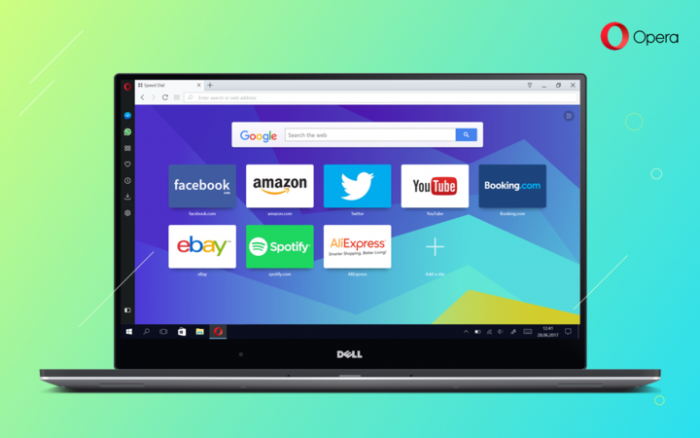 Opera now retains up to 32 closed tabs, up from the original 10, for you to recall at the moment’s notice. This becomes a handy shortcut to your history log. (Tip: You can reopen the most recently closed tab by right-clicking any tab and selecting Reopen Last Closed Tab). Additionally, we have cleaned up some issues relating to videos across different systems. Windows 7 Aero users should no longer see flickering background images when switching between YouTube videos. For macOS adherents, broken auto-played YouTube videos when going to fullscreen were fixed. 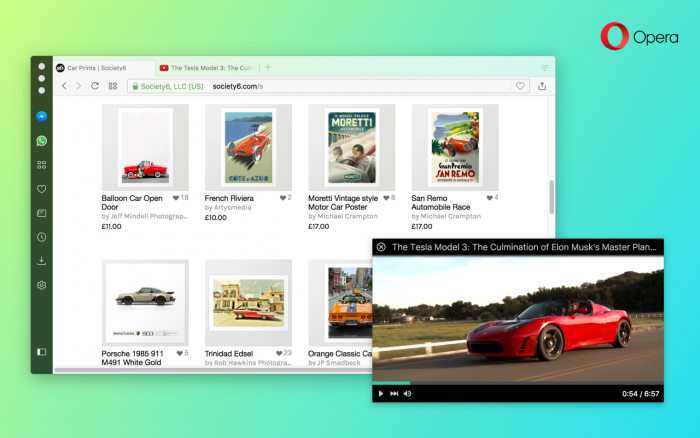 Everyone should see a smoother video pop-up player in Opera 47. We sharpened up the colors and appearances of the interface. To better complement our dark theme, dark favicons (the icons associated with a website) received a touch of lighter color to make them more visible in your bookmarks bar. If you decide to stick with the light theme of Opera, we have cleaned up color contrasting for better readability. Opera features a “risky file protection” in order to prevent the most scary file types from being downloaded. Opera 47 has been beefed up with .scf files added to the risky file extensions list (for Windows). Our fine-tuned version of Chromium was updated to version 60.